Personality changes and behavior problems that come with Alzheimer’s disease are as troubling as memory loss and other mental difficulties for caregivers and those living with the condition. Mayo Clinic researchers wondered if personality changes that begin early, when MCI memory loss becomes noticeable, might help predict Alzheimer’s disease at its earliest stages. 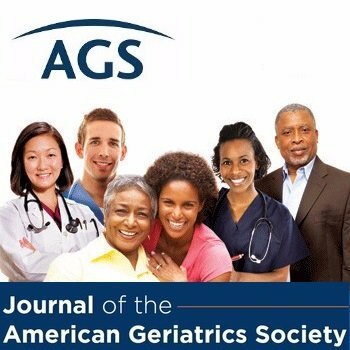 The researchers created a study to test their theory and published their findings in the Journal of the American Geriatrics Society. Researchers recruited cognitively normal participants 21-years-old and older who were genetically more likely to develop Alzheimer’s disease. The recruitment period began in January 1994 and ended in December 2016. Researchers also recruited people without a genetic likelihood for developing Alzheimer’s disease to serve as a control group. All participants took several tests, including medical and neurological (or brain) exams. They were also screened for depression, as well as cognitive and physical function. After analyzing results, the researchers concluded that personality changes, which can lead to changes in behavior, occur early on during the development of Alzheimer’s disease. The behavioral changes, however, may be barely noticeable, and can include mood swings, depression, and anxiety. They suggested that further research might be needed to learn whether diagnosing these early personality changes could help experts develop earlier, safer, and more effective treatments—or even prevention options—for the more severe types of behavior challenges that affect people with Alzheimer’s disease. This summary is from “Personality Changes During the Transition from Cognitive Health to Mild Cognitive Impairment.” It appears online ahead of print in the Journal of the American Geriatrics Society. The study authors are Richard J. Caselli, MD; Blake T. Langlais, BS; Amylou C. Dueck, PhD; Bruce R. Henslin, BA; Travis A. Johnson, BA; Bryan K. Woodruff, MD; Charlene Hoffman-Snyder, DNP; and Dona E. C. Locke, PhD. This entry was posted in JAGS Research Summaries and tagged Alzheimer's disease, cognition by HIA Guest Blog. Bookmark the permalink. My neurologist gave me the diagnosis of Cognitive Dysfunction about 3 years ago, at the age of 69, following neuropsychiatric testing. I was prescribed Aricept but had a harsh GI disturbance from it. So I was switched to Exelon 4 mg. daily, eventually titrated to 13.3 mg. I cannot tell much of an improvement on the medication, however, my wife feels I am better on it. I rely heavily on my IPhone functions to remember dates, tasks, and to record notes . Post-It-Notes are a handy tool too. Over the last few months I have been irritable and sometime shout at my love ones and say hurtful things . Things I do not mean. My psychiatrist is treating me for depression and anxiety. I process slower and have begun to spell words incorrectly, words I have spelled correctly in the past. What I want to ask, is the term Cognitive Dysfunction the same as MCI?